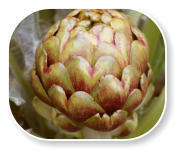 Globe Artichokes - Bud or Bloom? 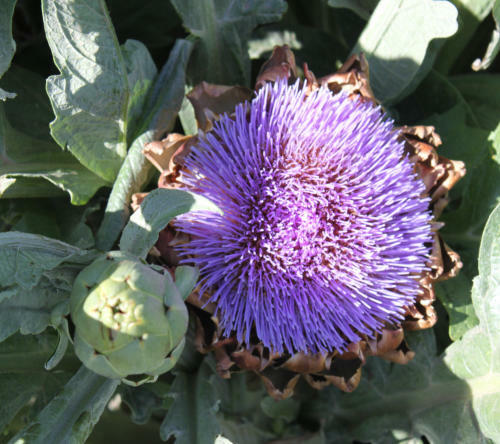 Most people that grow globe artichokes choose to pick and eat the undeveloped flower bud which disallows the plant its opportunity to flaunt its spectacular bloom. 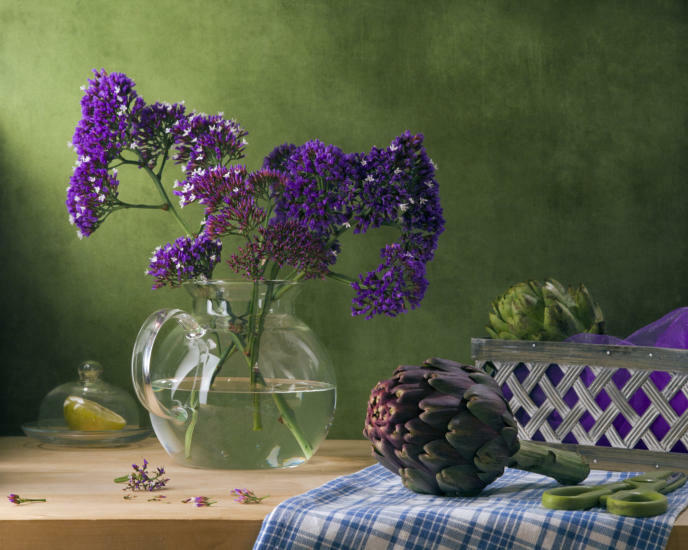 Although once harvested the consumer misses the opportunity to view the splendour of their amazing blooms, florists are well aware that these spectacular flowers make exceptional and long lasting additions to floral arrangements. 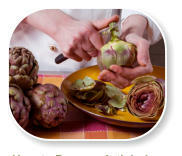 However, florists are also using the actual artichoke globe in their floral exhibits for a diverse and modern display. 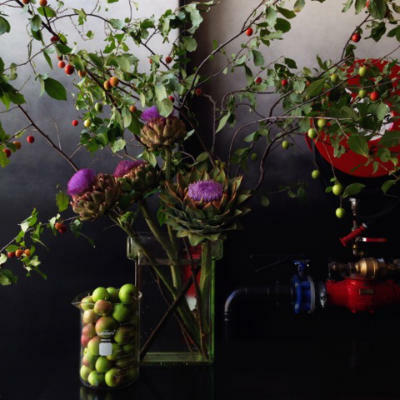 Contemporary florists are now thinking ‘outside of the box’ substituting some flowers with fruits and vegetables making creative and fabulous arrangements and stunning centrepieces. 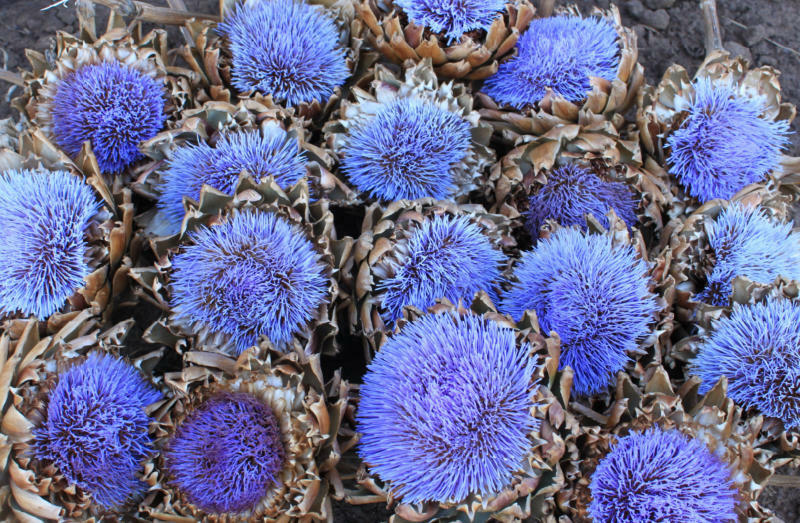 By introducing the edible globe artichoke, florists are producing unique and bold designs, with strong shapes and a diversity of textures and colours. 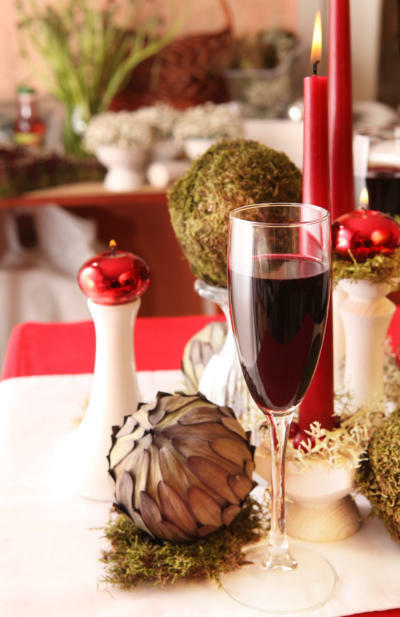 These impressive arrangements add natural beauty to any table, making them more striking and impressing their guests. 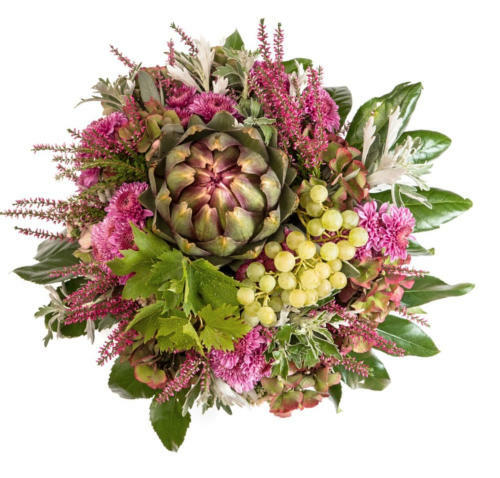 There is no strict rule regarding flower arranging, therefore, once a florist has learned the basic skills of floral design, they seem to constantly challenge themselves adding various types of decorations and fresh foods to invent more creative designs. 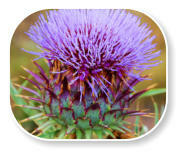 The globe artichoke is actually the bud of a silvery-green, fern-like thistle plant called Cynara Scolymus. 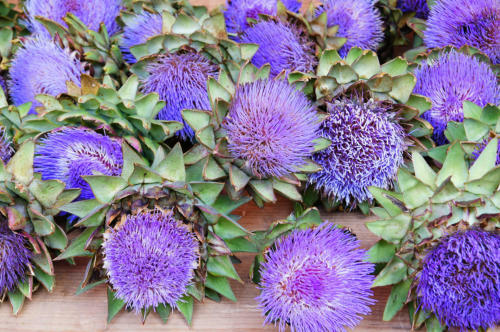 The bud is similar to large, green pinecones and if the bud is not harvested for consumption, it will blossom into a spectacular, vibrant, electric purple- blue flower. 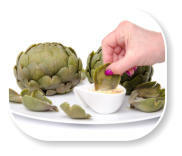 The globe artichoke belongs to a family of plants that produces the largest flowers. Selecting the right centrepieces or table decorations for functions or floral displays for events seems effortless to florists. Their creative ideas are vast as they have the knowledge and imagination to combine all sorts of materials. Vegetable and fruit centrepieces are becoming very popular. 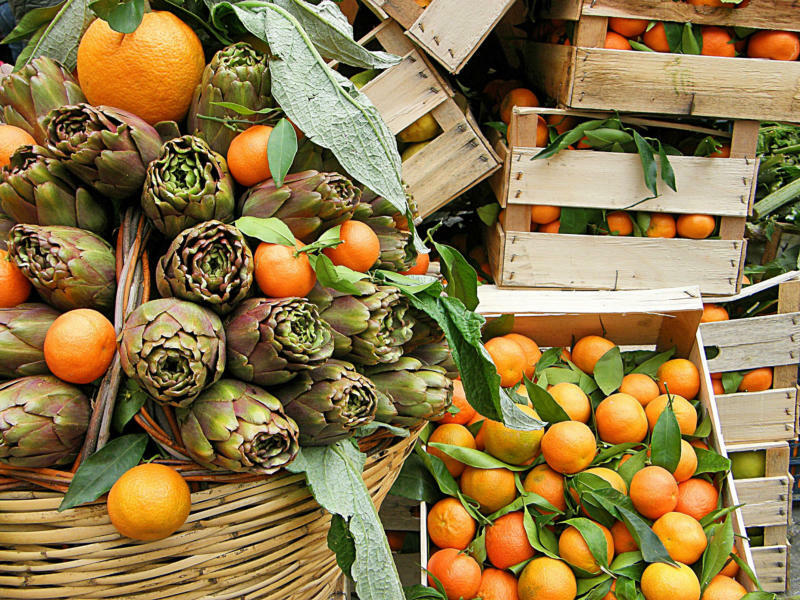 They are not only edible but look natural. 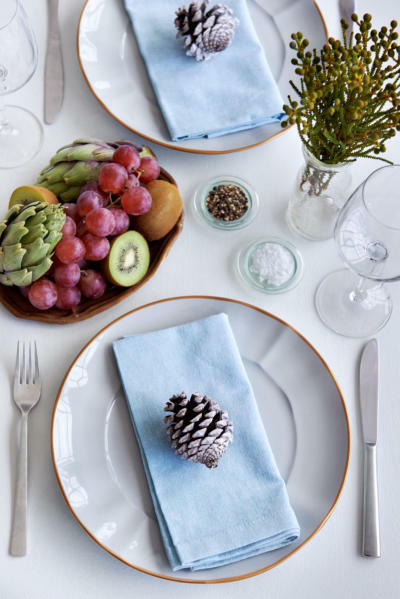 Although flowers are still the most popular, imaginative creators are now not only introducing natural elements such as fruits, colourful berries and vegetables but also nuts, herbs, succulents and pinecones. They are incorporated with bark, candles, hessian, wood or moss and vases are substituted for wooden barrels or boxes, metal buckets or metal watering cans and jugs. 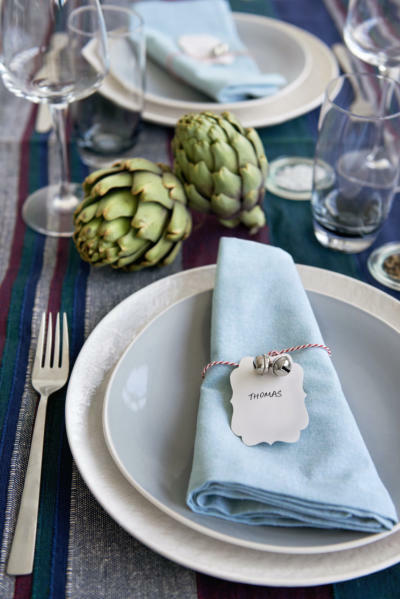 Arrangements are coupled with other accessories like ribbons, twine or twigs for extra charm. 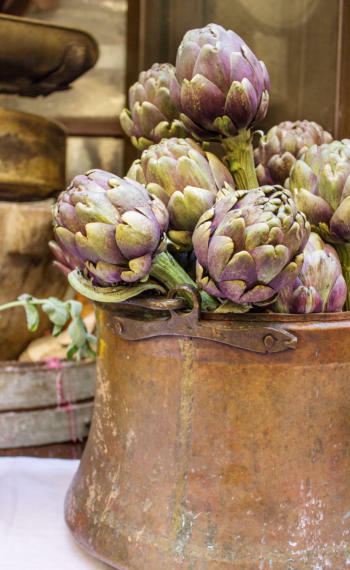 The artichoke globe can be combined with country- looking objects, giving the occasion a magnificent rustic or vintage look, or alternatively added to modern arrangements for a sophisticated and fashionable style. 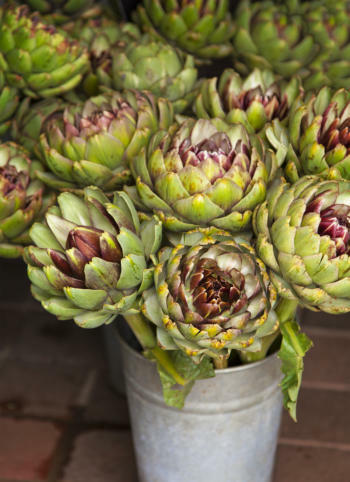 Florists have long recognised that the artichoke flowers make attractive, decorative floral displays and are capitalising on these flowers to create beautiful arrangements. These striking long cut stems usually last for a longer period of time then other more delicate flowers. 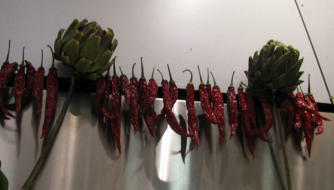 They are often used to make a huge impact in large displays in offices, events, hotels or reception centres. Interior decorators constantly create stylish, new designs. They use a diverse selection of fabrics, lights, furnishings and ornaments creating the best use of space and lighting available while keeping their design looking very stylish. 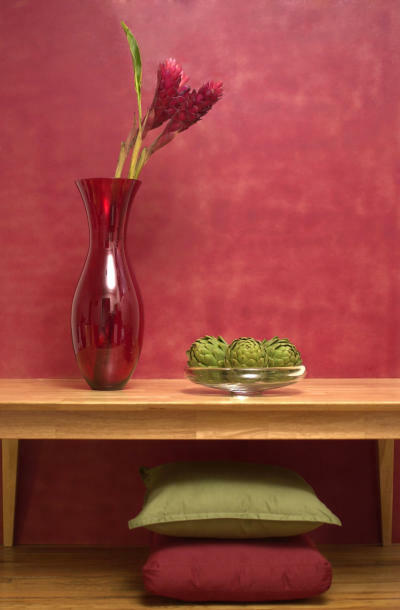 Their exceptional ideas create tasteful surroundings incorporating either vivid or subtle colours which captures our eye. Successful designers appear insatiable, constantly seeking inspiring, unique and innovative designs while continually improving their creations. Their expertise is remarkable and appealing when creating their modern, charming, rustic or eccentric styles which are now so well accepted and expected. David Jones Foodhall Display David Jones Foodhall have the best fresh produce and the finest food not only Australian grown, but from around the world. There are many gourmet products; a delight for any person who loves to cook delicious, fresh dishes with quality produce. 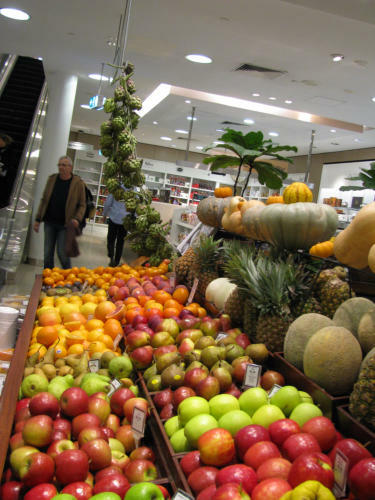 A great place to shop for all foodies! 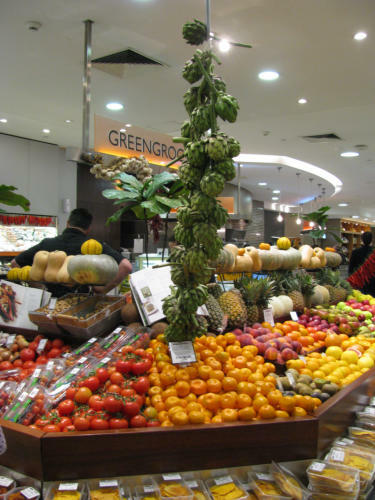 Casey Jones from David Jones Foodhall in Melbourne has been very creative in displaying his globe artichokes in attractive arrangements, as he does with most of his fresh and tasty produce. 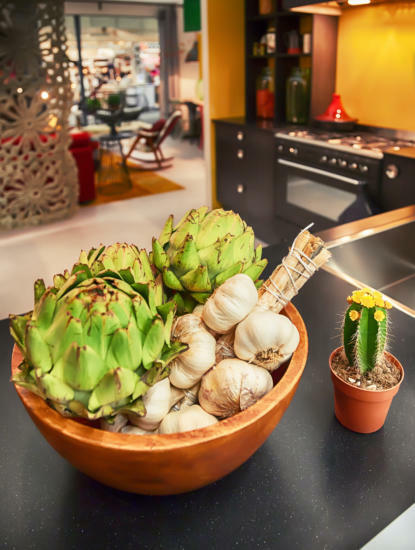 Many are now using the sophisticated-looking artichoke globe as a creative adornment in the kitchen or as a table piece in dining areas. 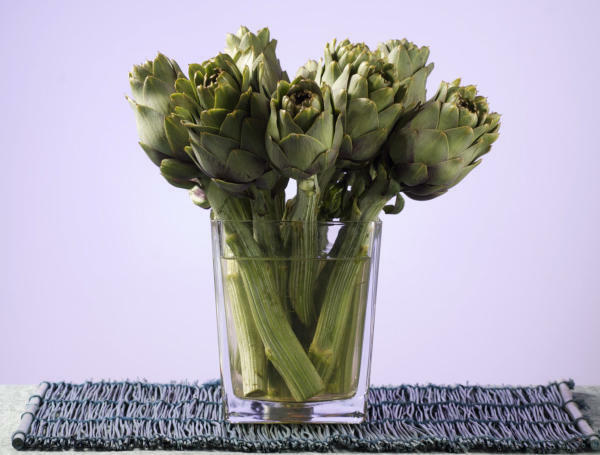 This attractive crown-shaped vegetable makes for an interesting conversation piece. 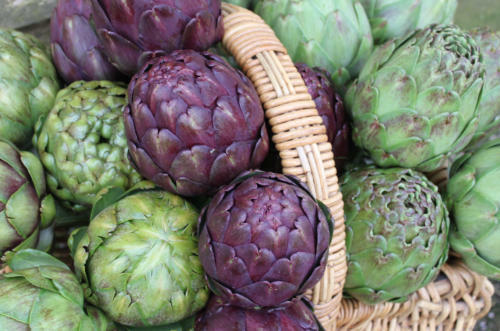 Due to the artichoke’s extraordinary shape it seems that nature has brilliantly created its own architecturally designed vegetable, and as a result, it integrates perfectly with the designers unique designs. 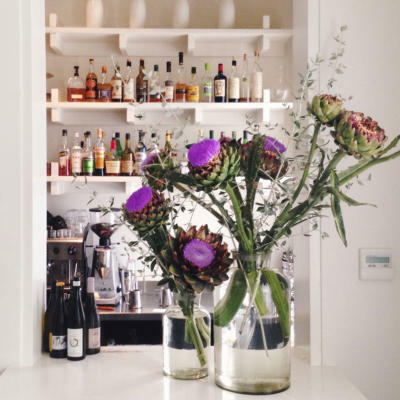 Many manufactures are basing their designs on the artichoke and producing artichoke-shaped lights, candles, containers, bowls and other items so interior designers can include these in their designs. 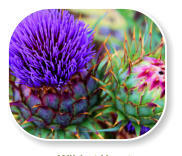 The globe artichoke’s vibrant green or purple colours make the area in which they are placed appear outstanding and their texture and shape look appealing. 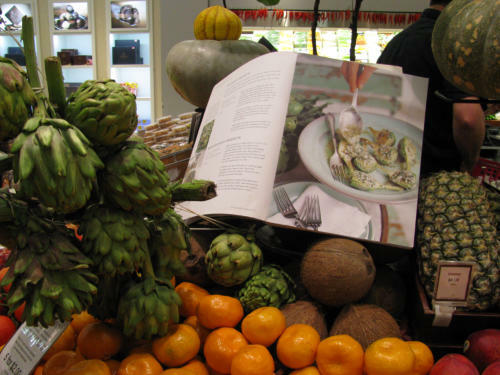 This unusual-shaped vegetable is also becoming very, very popular in displays as shown in magazines or internet articles. 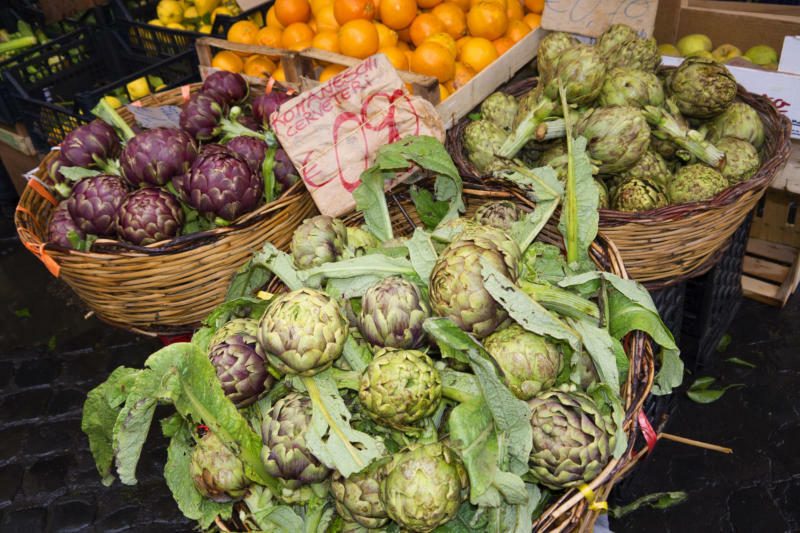 When visiting your local greengrocer or supermarket, the most important aspect for choosing and buying fruit and vegetables is freshness and quality. The second most important aspect, and all suppliers are very aware of this, is attraction! A creative, colourful and well presented retail outlet will be appealing to the public and will encourage their clients to buy more. 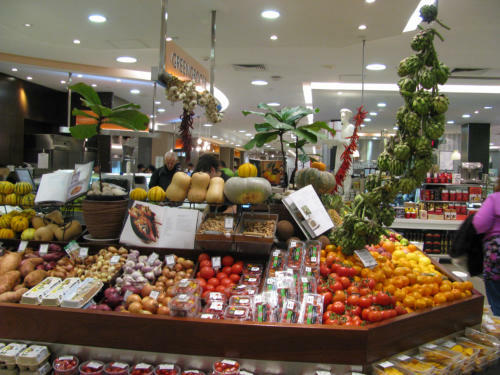 They will display their produce in an interesting and attention-grabbing exhibit, arranging and layering their produce and combining vibrant colours while tiering and elevating their displays. 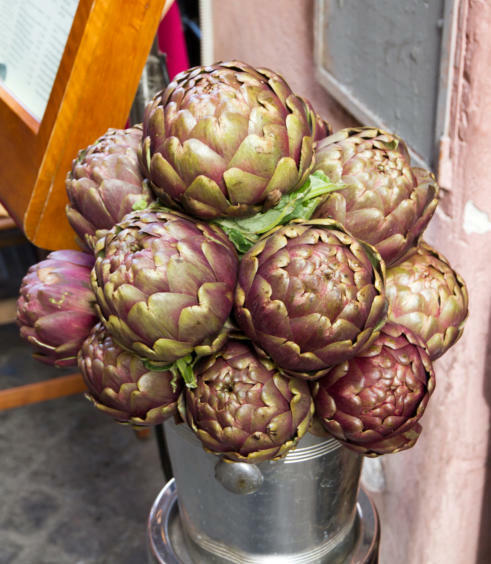 Globe artichokes make beautiful, interesting displays in your local greengrocer or supermarket shelf. They not only look like a large flower which hasn’t bloomed yet, but they are actually the plant’s prematurely picked flower. 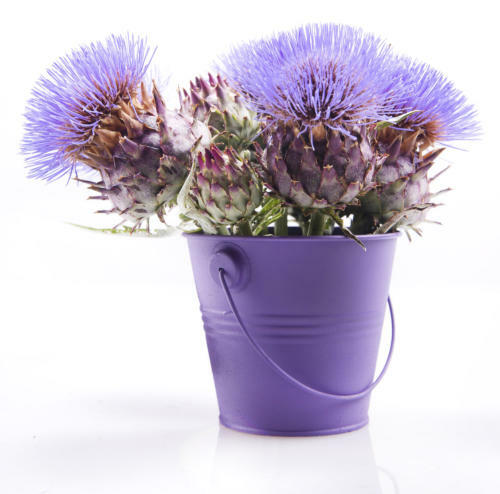 Many premium outlets will present the artichokes in barrels, timber boxes, baskets or tin buckets similar to cut flowers, making them look more appealing. 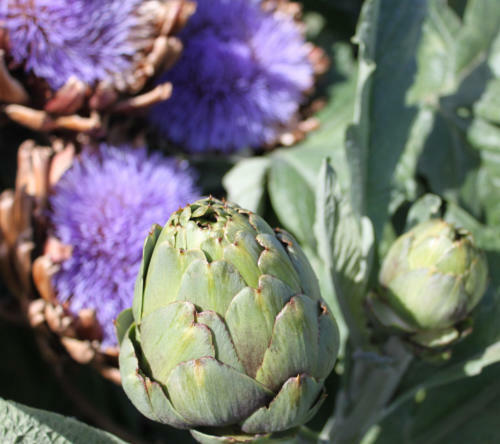 The dilemma is making the decision whether to consume the globe artichoke while in its bud stage and enjoy its delicious and unusual flavour, or let the bud go to flower to show off its amazing, purple, breath-taking bloom. The fact is that these tasty buds are so scrumptious and unbelievably healthy that most people prefer to pick them at their edible stage. 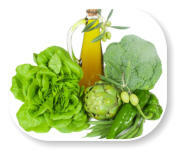 Their health benefits are numerous, making them one of the most important vegetable to be included in our weekly diets. The good news is that they are now available almost all year around, except in the few really hot summer months.